If you are having a Flamingo Party, then you have come to the right place! 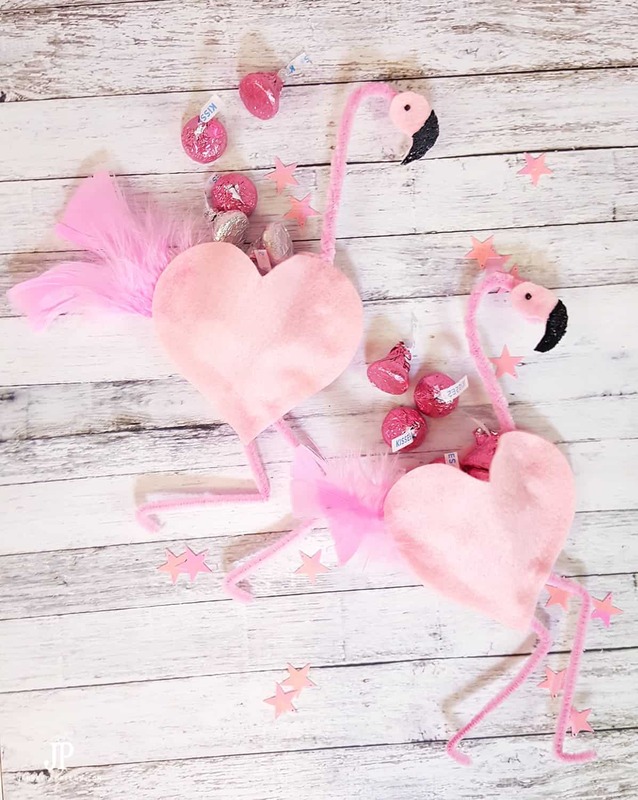 Today we are searching for all of the best Diy Flamingo Party supplies around. We have the cake, the invites, games and of course food sorted. 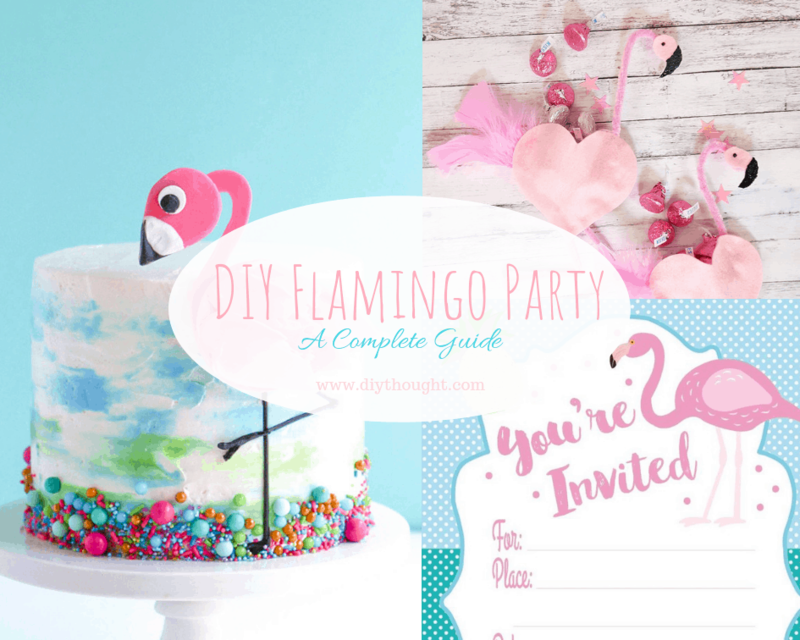 A Diy Flamingo Party will save you money and look super cool! 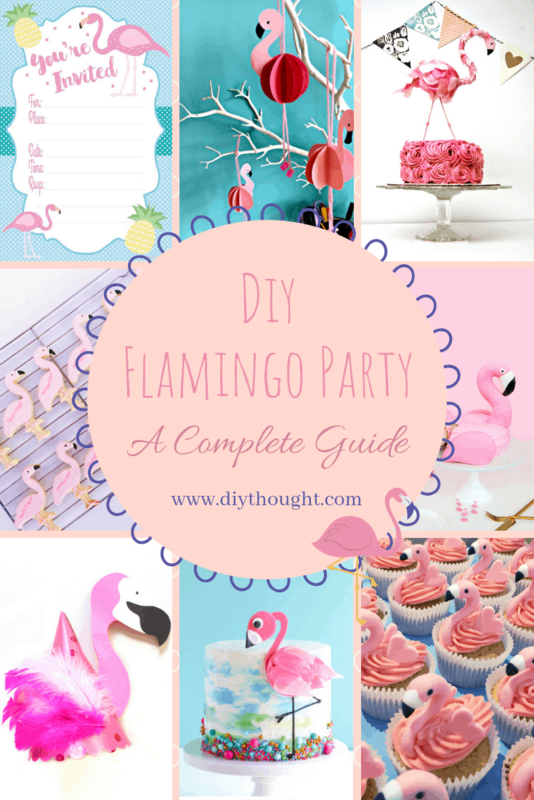 All the hard work has been done with this complete guide to throwing a diy flamingo party. It all starts with the invite. Make one from scratch, use a starter template or simply print and write. 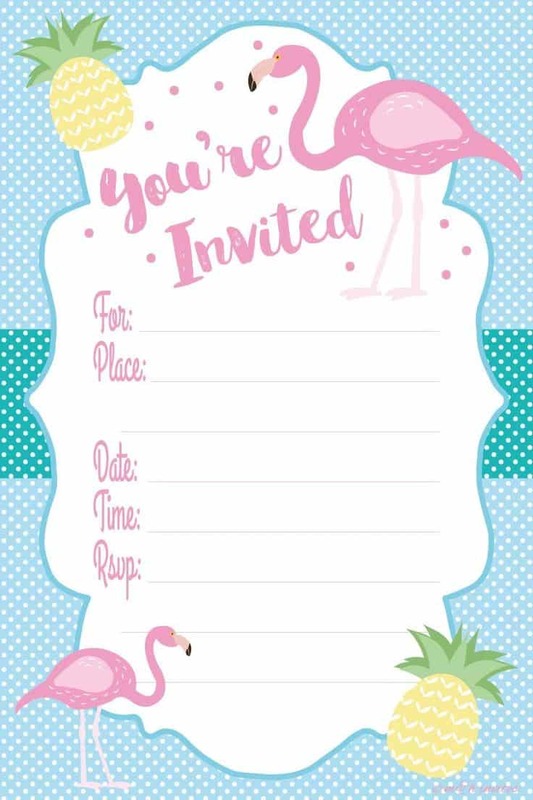 Use this template to make your own flamingo invitation. Drevio also has this template available in other colors so there is sure to be one to suit your party. It can’t get much easier than this, simply print and write out all of the required details. Source found here. Everyone loves a good cake. 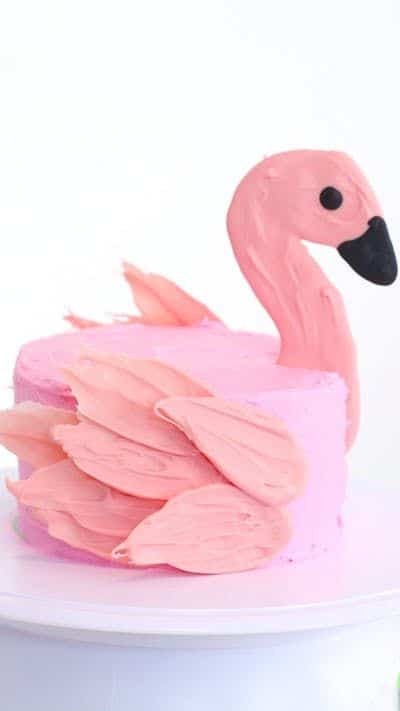 Good doesn’t always mean difficult, we have found a range of amazing flamingo cakes for every skill level. This cake isn’t for the novice cake decorator but it certainly is beautiful and inspiring. There is no tutorial but more inspiring cakes can be found here. This cute cake is simple enough for a beginner cake maker with a little patience to master. The wings and flamingo head are made from melted chocolate. Recipe and video available here. Make this awesome cake topper to decorate any standard cake. 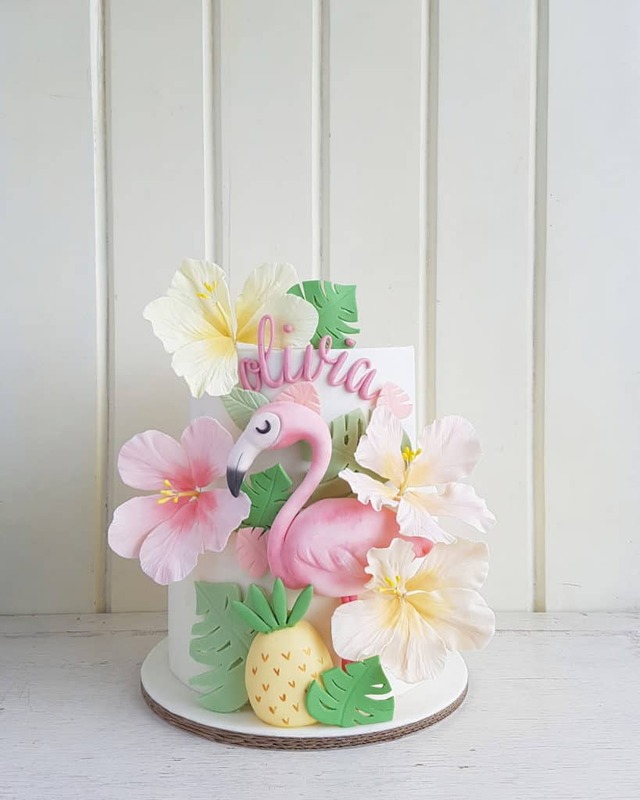 The best bit, this cake topper can be saved and used at your next flamingo party! 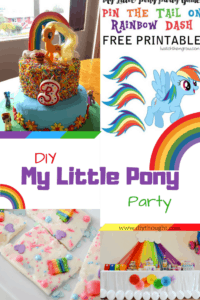 Head over to The Party Girl to read the tutorial. 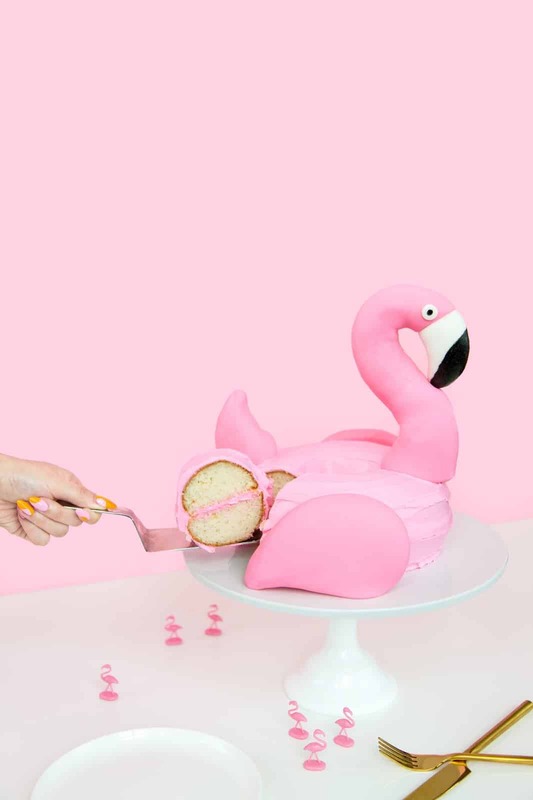 This is one stunning flamingo cake. 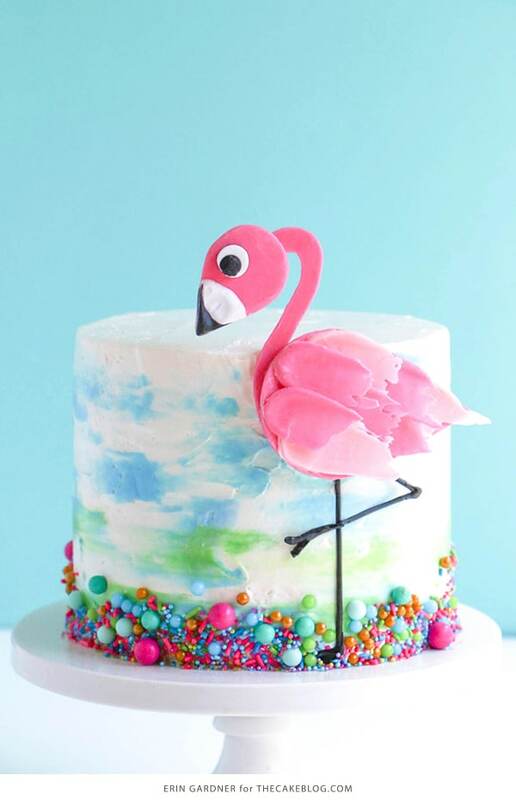 Everything about it works from the sprinkle bottom to the giant pink flamingo and the fun watercolor frosting. This is a great tutorial which steps you through each step. This is the perfect cake for your next pool party! A simple cake which looks fab. Click here to find out more. 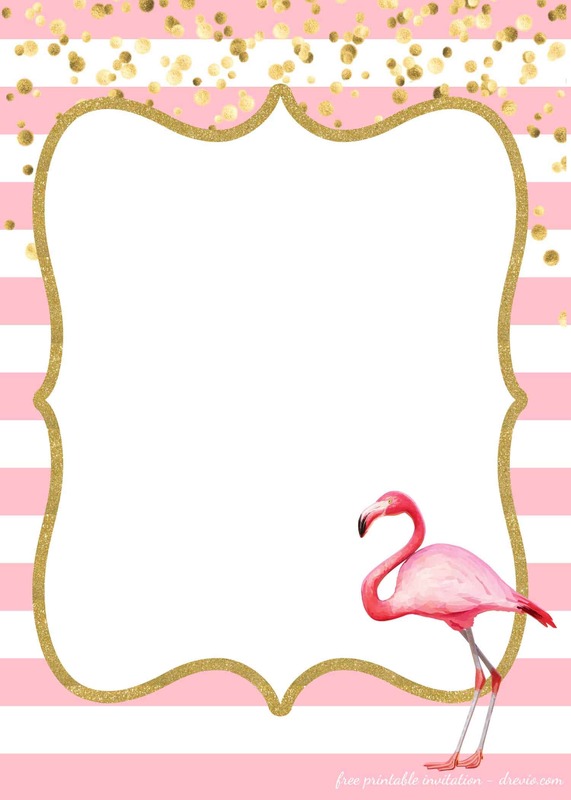 Keep to pink food and you are sorted for your flamingo party or pop in some of the printables found in the party favor section to keep with the flamingo theme. 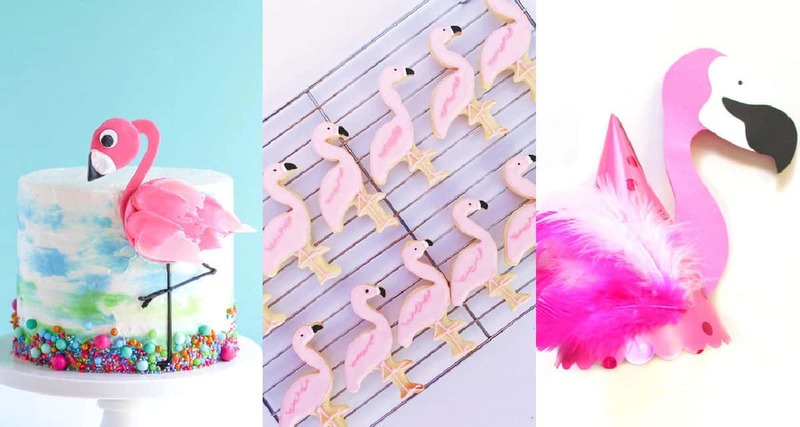 We love these flamingo party food ideas below! 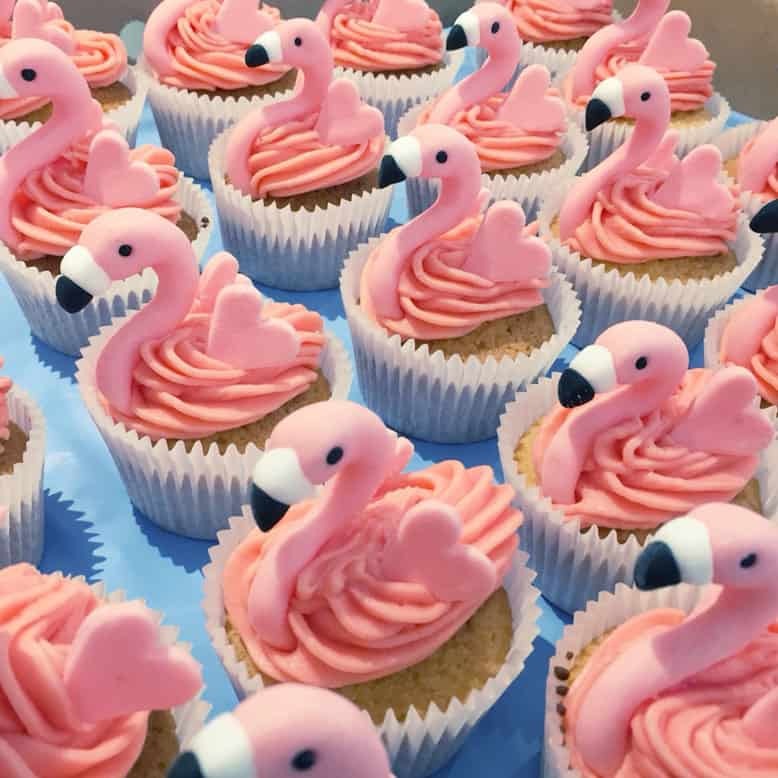 Everyone will be wowed by these adorable flamingo cupcakes. These are very easy to make, just follow this tutorial. 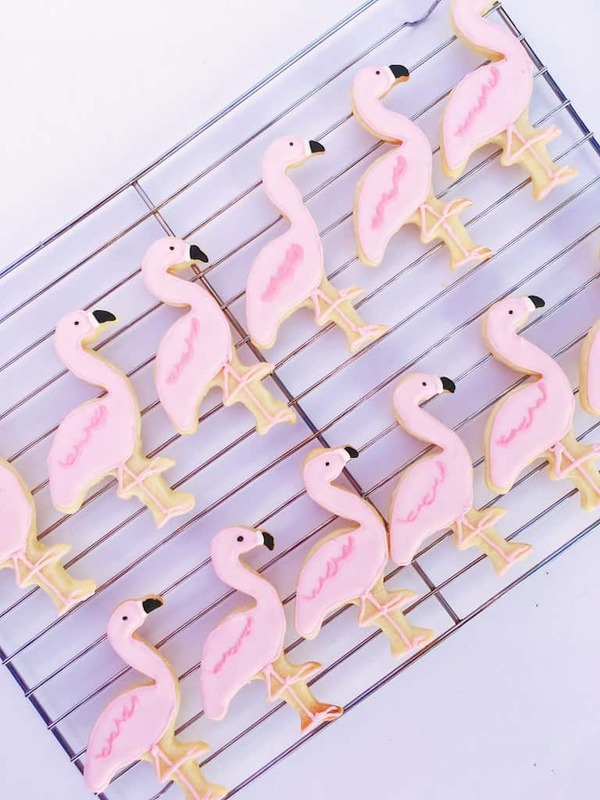 How cute are these flamingo cookies! Make sure to set plenty of time aside for the decorating fun, the results will be worth it. Click here to find out more. 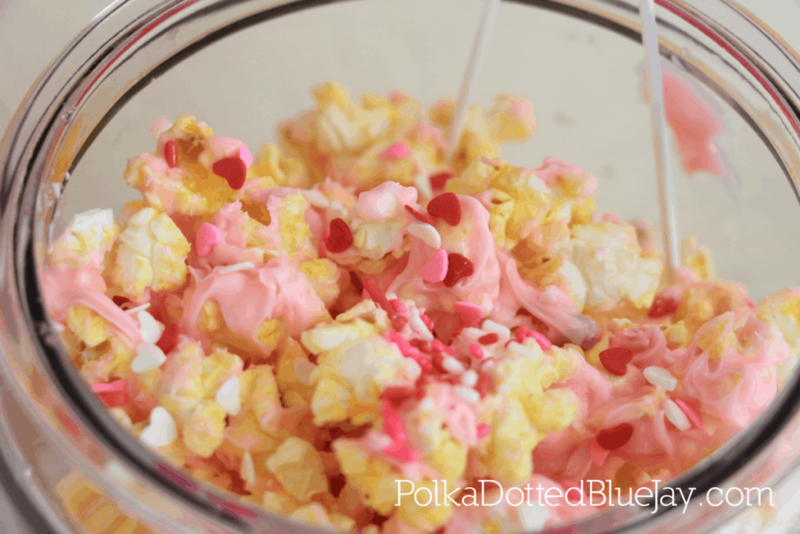 It’s easy to turn regular popcorn into flamingo popcorn by pouring over pink melted chocolate and adding some sprinkles. 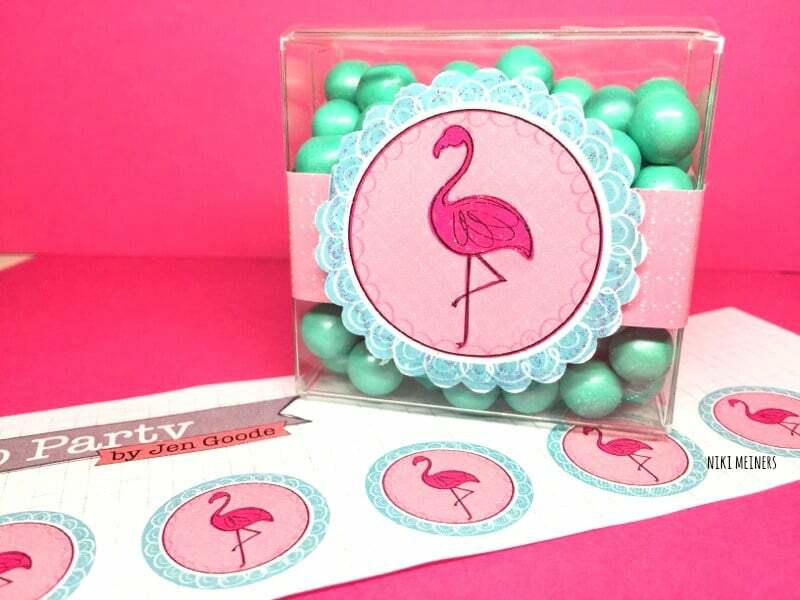 Polka Dot Blue Jay has lots of other simple flamingo party ideas. 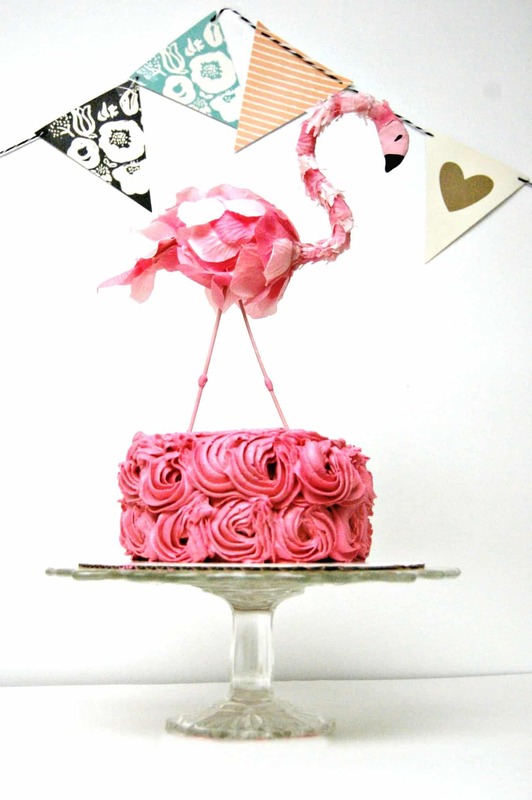 When decorating for a flamingo party stick to a few colors based around pink. Pale pink, bright pink along with white, black or turquoise work well. 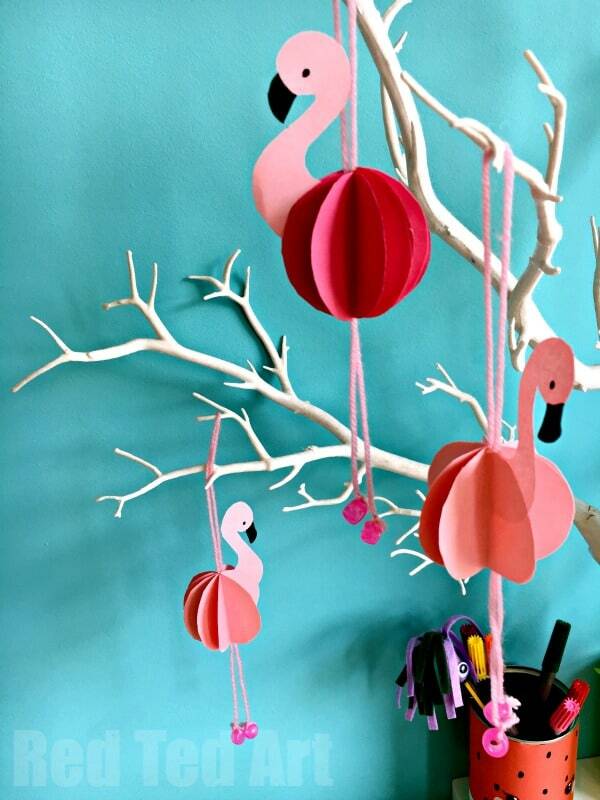 Accessorize with some of these cool flamingo diy decorations. 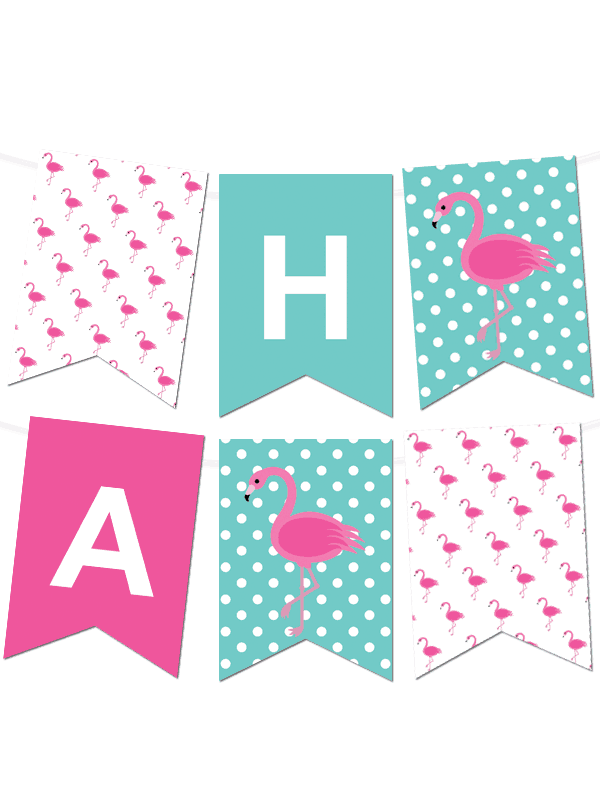 Make your own flamingo birthday banner with this free download from Chicfetti. 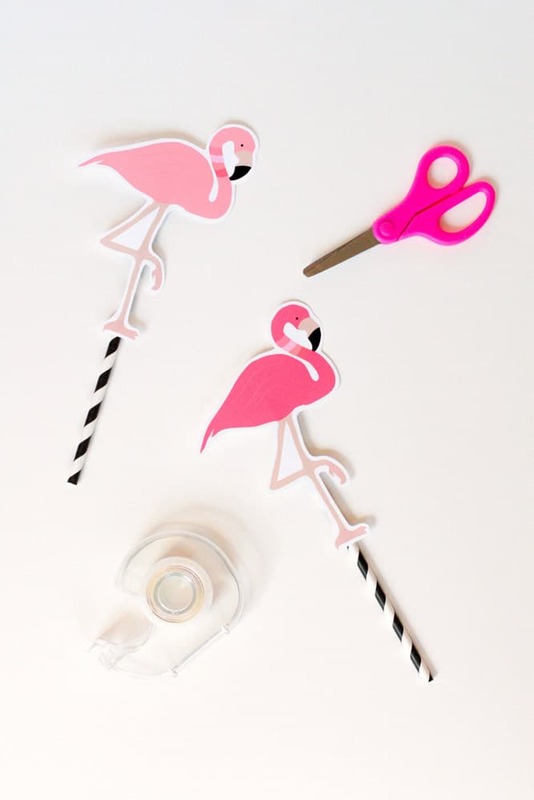 These easy paper flamingos will add that wow factor to your party decor. Visit Red Ted Art to get the full tutorial. 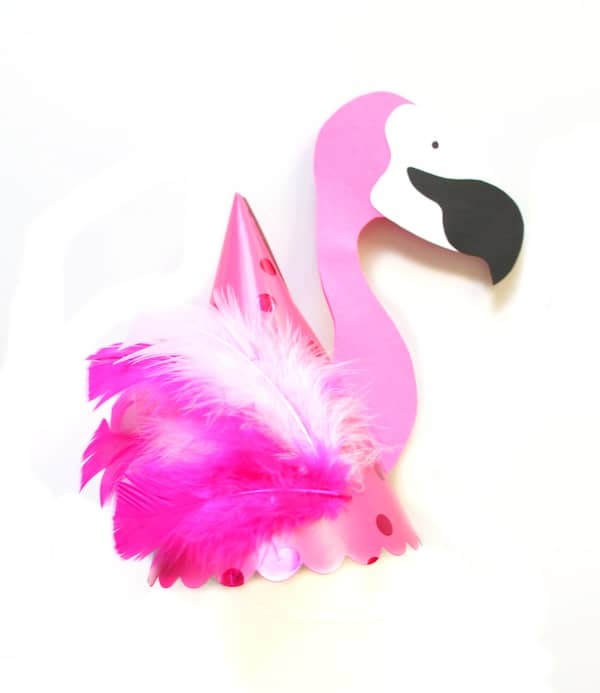 Revamp a party hat into a fun flamingo one! Head over to Shoes Off Please to find out more. We like to keep it simple with activities. It is good to have something for guest to do to get them mingling but most of the time each other should be enough entertainment. 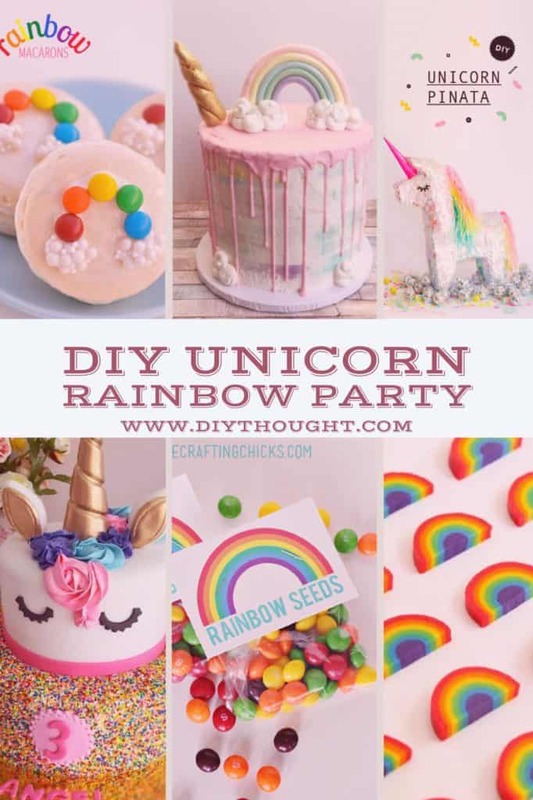 Everyone loves a pinata and they are lots of fun to make! This flamingo pinata is almost too adorable to break open. Visit Studio DIY to find out more. Let the kids make their own flamingo puppets and put on a puppet show. 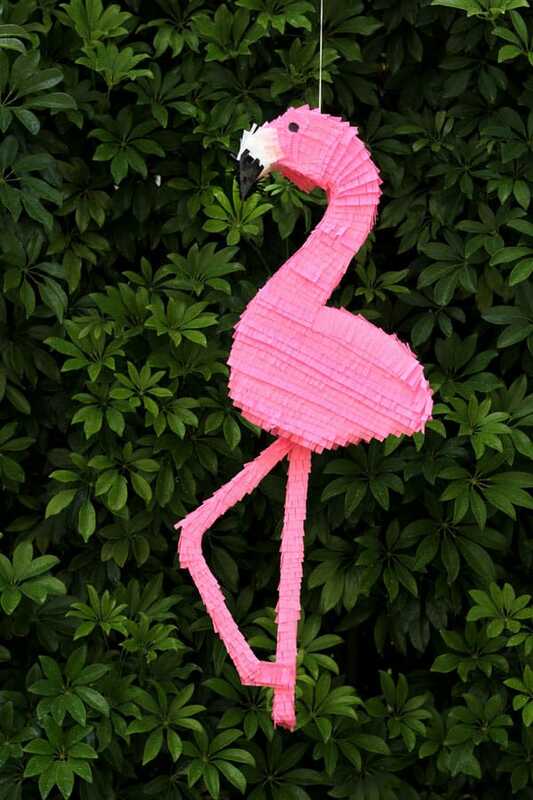 Alternatively tape on the flamingos a little lower and they can make their own party straws. Click here to get the free printable. Setting up a crafting station is always lots of fun. 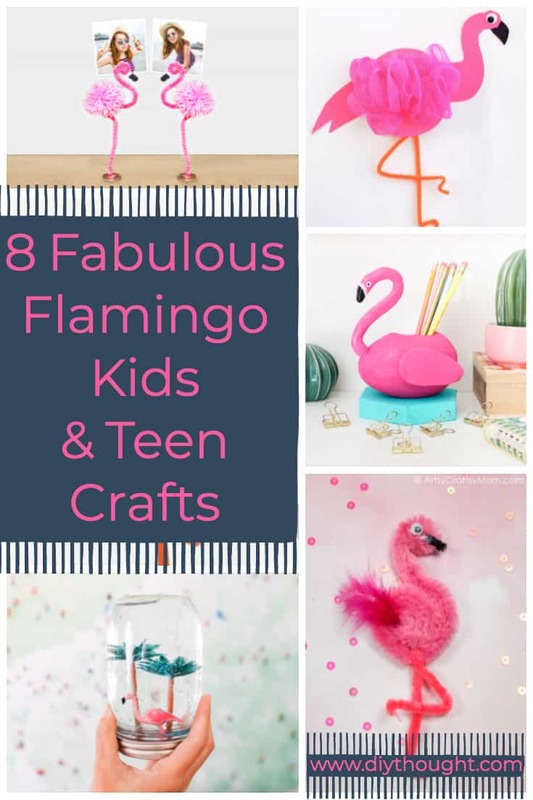 For all of your flamingo craft needs click here. End the party by giving guests a party favor to thank them for attending the party. Bag up a bunch of goodies in one of these Diy flamingo bags. Click here for the full tutorial. The kids might want lots of candy to take home but most parents would rather a small candy pocket like this one! 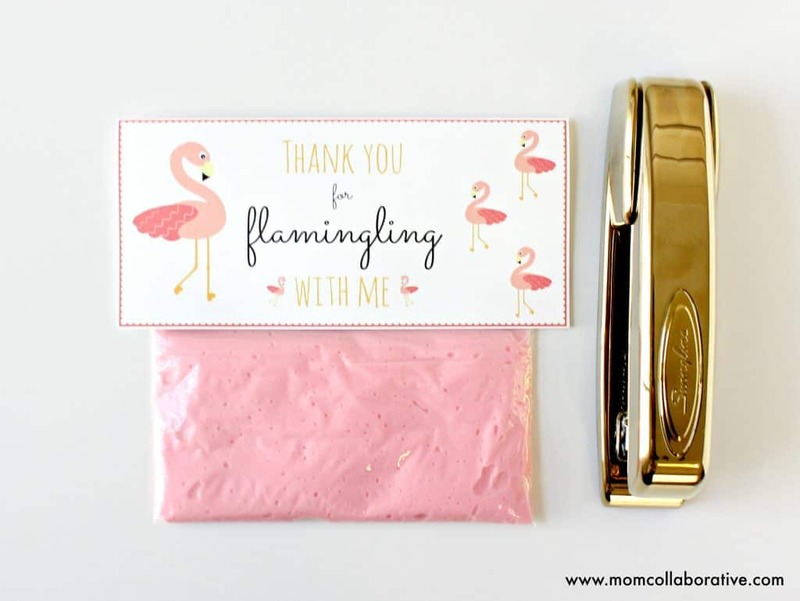 This flamingo candy pocket is so adorable that they will hardly be thinking about candy. Click here to get the tutorial. 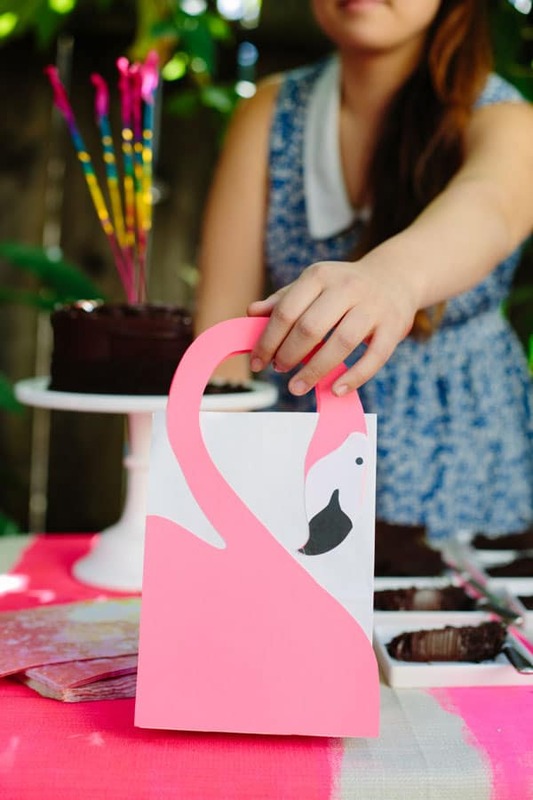 Use this adorable flamingo printable to make your own party favors. This printable can also be used for other things such as invites or attached to a toothpick as a cute cupcake decoration. Click here to find out more. A great alternative to sending the guests home with candy is farewelling them with some slime complete with an adorable thank you label. Get the free printable here.